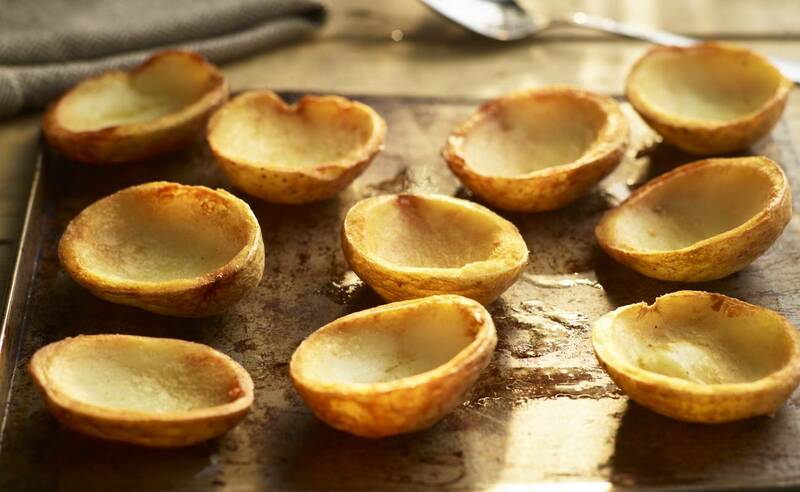 We bake lovely little potatoes then scoop out their middles, so you can top the crispy skins with all sorts of delightful fillings. They’re perfect as a starter or as part of a sharing platter. 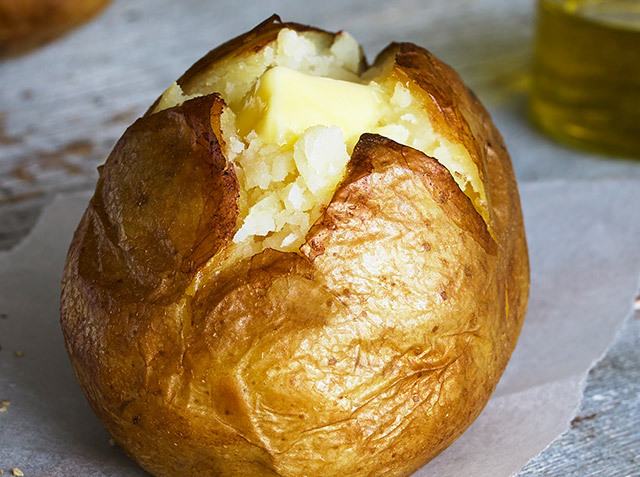 Why not brush them with oil and pop them in the oven, for even more crispiness?